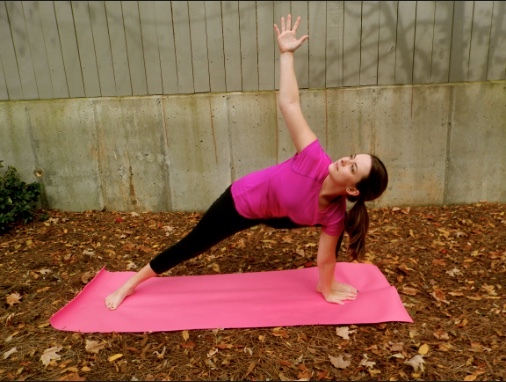 These yoga poses are great for building strength and preventing future knee injuries. If you are dealing with knee pain or weakness in your knees, give this sequence a try to regain some of your mobility. Standing straight with your feet 6 inches apart, slowly fold your body down until you reach your toes. Put your fingers in between your big toe and second toe and hold for 5 breathes. Standing straight, lift your left leg up in the air and hold on to the outside of your left foot for 5 breathes. Repeat on other side. In standing position, bring your feet more than hip width apart, as far as is comfortable for your body. 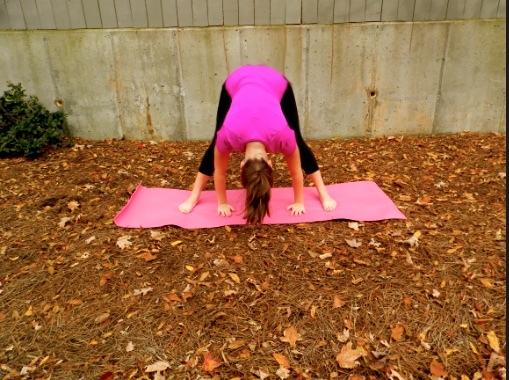 Exhale and lean forward with your hips toward the floor. Place your palms on the floor and hold this for 5 breathes. Laying flat on your yoga mat on your back, bring your feet together and pull them as far in to your pelvis as they are able to go. 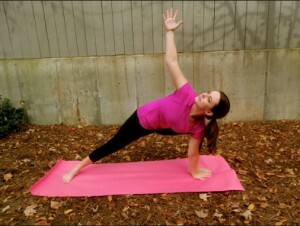 Let your hands rest to your sides and hold this pose for 5 breathes. Standing straight, make sure your posture is correct and keep your shoulders back and your head straight. Feet should be hip width apart and you should have your hands out to your sides. Hold this for 5 breathes. Stand up straight and put your feet more than hip width apart, as seen in this picture. Turn your right foot 90 degrees and slowly lean down into your right knee. Once down you should take your left arm and put it above your head. Hold this for 5 breathes and then repeat on other side.